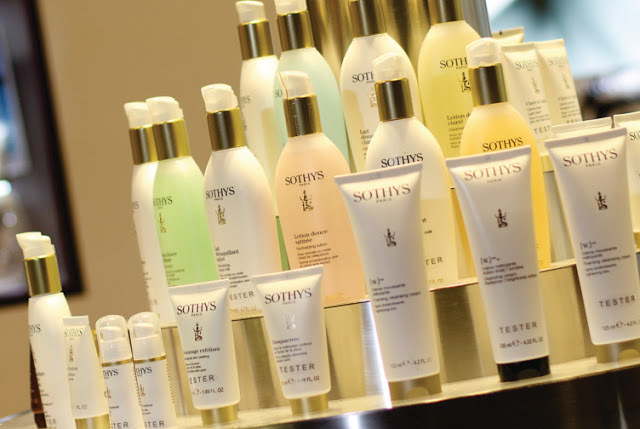 Introducing to you a range of skincare all away from French yet I bet women who loves facial would definitely know the name, Sothys! Meanwhile, my mommy is also one of the consumer of Sothys Salon. Yet, she always introduced to me this brand for a try and I always giving her a 'meh' expression from what she have told me until I attended a little workshop invited by The Butterfly Project. Then I only noticed this is the brand what my mommy love for. During centuries, the world heard nothing about Sothys until the day when… Sothys reappeared to deliver her secret to the Earth : she dedicated herself to women in order to preserve their beauty and happiness. As a tribute, Men venerated her as a Goddess. SOTHYS starts to putted a step in Malaysia since 1993 and has grown big and bigger. 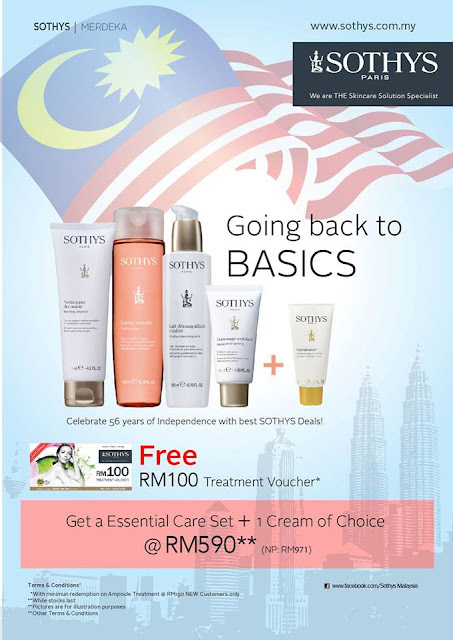 Sothys is one of the premium and prestigious salon in Malaysia all over the Urban Mall of Klang Valley and they even have salons for men which is located at Bangsar and Empire Gallery. I felt more trust and love this brand after not because effected by my mommy or invited to know their brand even not being paid for this. This was happened when my cleanser was run out so I tried their cleansers and scrub given from workshop and surprisingly it works good on my face yet I can see the different before and after. Naturally, it's become one of my current skincare regime until now. Macro Gel Peeling (Scrub) - Frankly speaking, I only use twice because I am not a fans of scrub. I still prefer much more gentle way although this scrub is not bad tho. This four products actually comes in a set called Essential Cleansing Solution Care Set. Now Sothys Malaysia having promotion comes in a set of Essential Cleansing Solution Care Set plus one Sothys Cream of your choice sumore has a free treatment voucher worth RM100 at ONLY RM590 instead of RM971.